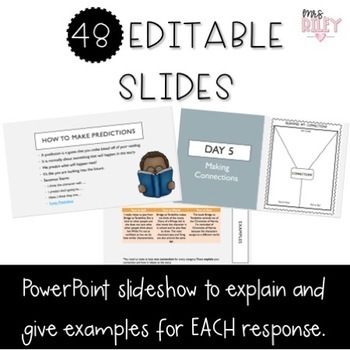 This editable PowerPoint contains examples and explanations for each of the 15 responses. You can review the topic with the students and show them the expectations for the responses before assigning the response. 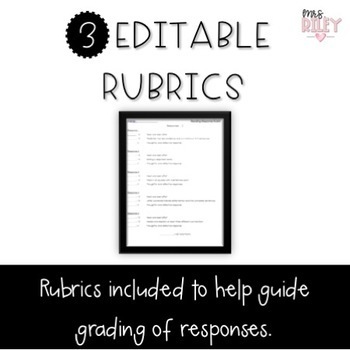 An editable rubric is included for responses 1-5, 6-10, and 11-15. This will help guide your grading and assessment of student work. 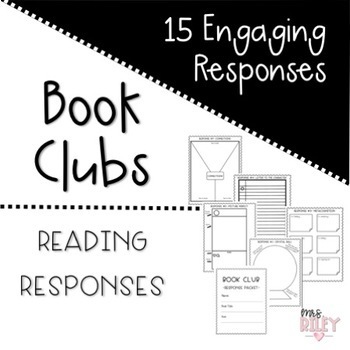 A reading schedule will help students know what pages to read on each day. This will prevent students from reading ahead, or not finishing their book on time. You can use this product in so many different ways, and it will work with ANY fiction story! Don't forget to Follow Me to see when this product, and others, becomes updated.